"Made by hand in the heart of Chicago"
Despite how obsessive we are about perfecting it, our cider is actually very simple. It starts with a blend of fresh-pressed American-grown apples, which are fermented with champagne-style yeast. Sometimes we add honey. Sometimes we add fresh fruit. Sometimes we don't add a thing! We do everything at our urban cidery, an old brick building that feels about as "Chicago" as you can get. 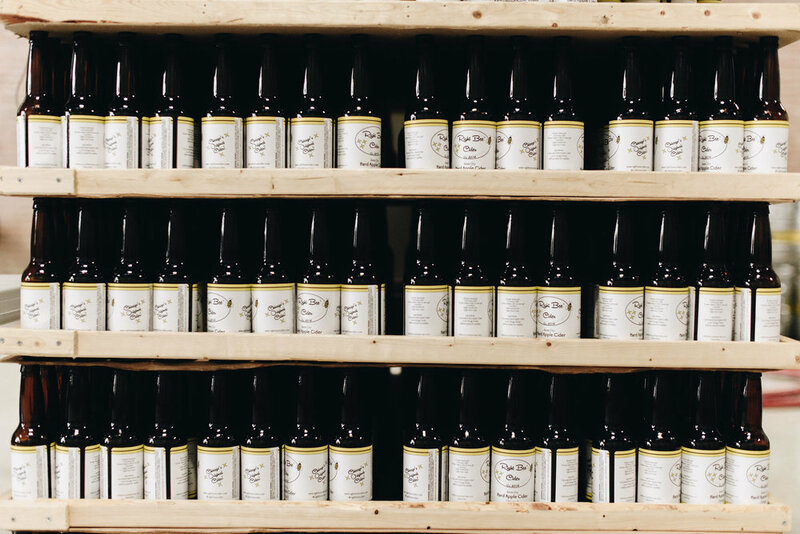 We make, bottle, label, and package our ciders here. We're local and handmade in the truest sense of the word. There are five bee hives on our roof that supply all of our honey. It’s not easy to get to — you have to climb some old stairs and pull yourself out a window but it’s worth it: it’s as local as it gets. The bees pollinate the wildflowers that grow on the train tracks outside our doors. If you're in the area, come visit us! We run tours of our cidery regularly -- click the below link to register for the next one! We'd love to have you.